Assalamu Alikum, my name is Safaa Omar , I'm from Egypt , I studied Arabic at the collage of Arts , memorized Quran from about 7 years , taught Quran for Arabs from 7 years , and for non Arabian speakers from about 2 years , I did masters, I like teaching Quran and Tajweed for women and kids , I taught many students in different countries , I will take you from zero to advance levels in reading Quran , and I will explain rules of Tajweed in an easy way , and I can teach you with the Noor Elbyyan method , letters , words and sentences . 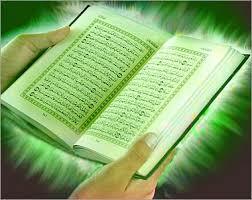 I will help you to improve your recitation in short time step by step . Very good teacher. Help you learn fast. Also very kind. You will finish quran quickly. She is really nice,understanding and very patient. I love her way of teaching. She is the best of the best may Allah reward her. very good teacher..but timings not match..and i need sunday off.